Philadelphia is getting a new supermarket. 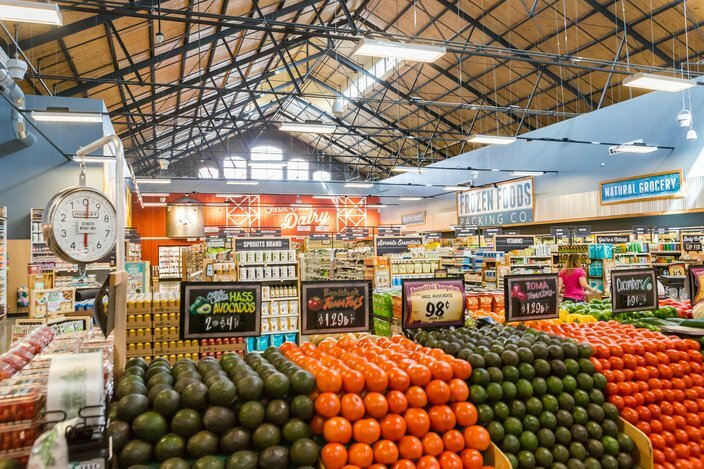 On Wednesday, Sept. 19 at 1000 South Broad Street, Sprouts Farmers Market will open a 32,000 square-foot store - their first in Pennsylvania. Sprouts Farmers Market will officially open its first location in Pennsylvania on Wednesday at South Philadelphia's Lincoln Square. The transformational project introduces new apartments and retail to the awakening Washington Avenue corridor, where a new Target will soon be joined by the likes of Chipotle and Insomnia Cookies. But with 140 new jobs and a different allure for grocery shoppers, Sprouts has long been anticipated as the project's greatest addition to the neighborhood. Housed in the historic rail shed near the intersection of Broad Street, Sprouts occupies a space that once served as a stop on the funeral tour following Abraham Lincoln's assassination in 1865. The produce section is centrally-located within the heart of each store. The place is now full of life again after an intensive rehabilitation, with sunlight pouring in through windows in the vaulted roof. In an effort to reduce waste and feed the hungry, the Philadelphia store plans to donate unsold and edible groceries to the non-profit food bank Philabundance through the Food Rescue program. 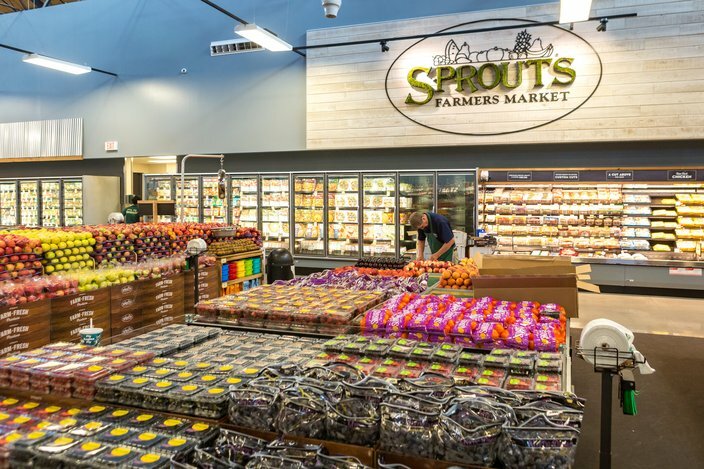 Headquartered in Phoenix, Sprouts has more than 300 locations in 19 states, where it has established itself as healthy food grocer dedicated to affordability and accessibility. The market's arrival in Philadelphia is a part of a push to enter the Mid-Atlantic region, including a recently opened store in Baltimore. 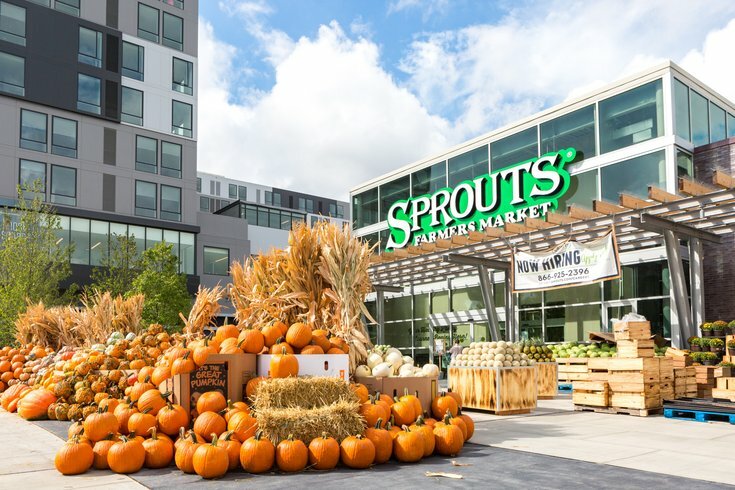 "One thing we like to educate our shoppers on is that when you come here, a third of the store is always on promotion," said Diego Romero, a Sprouts spokesperson who gave PhillyVoice a tour of the market on Tuesday morning. "When you see our weekly circular online or in the mail, you're going to see these gangbuster deals every week." 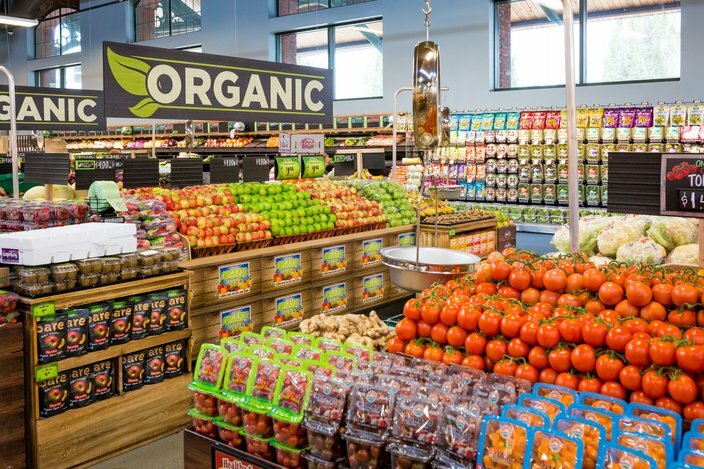 As of the day before it's grand opening, the store had over 170 organic produce items available. 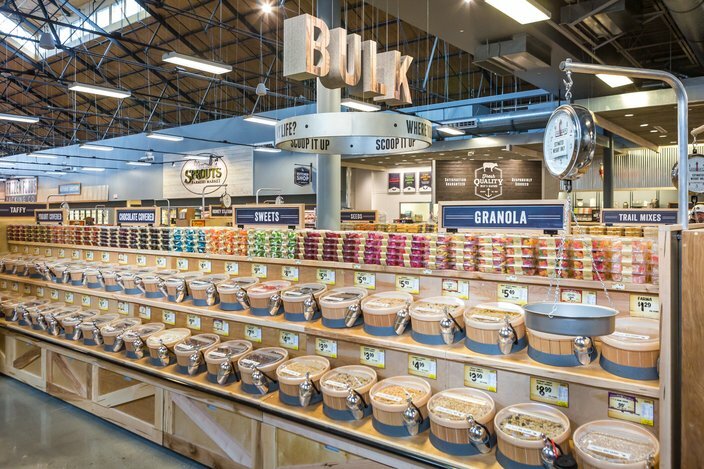 Produce accounts for 23-percent of the Sprouts Farmers Market in Philadelphia. 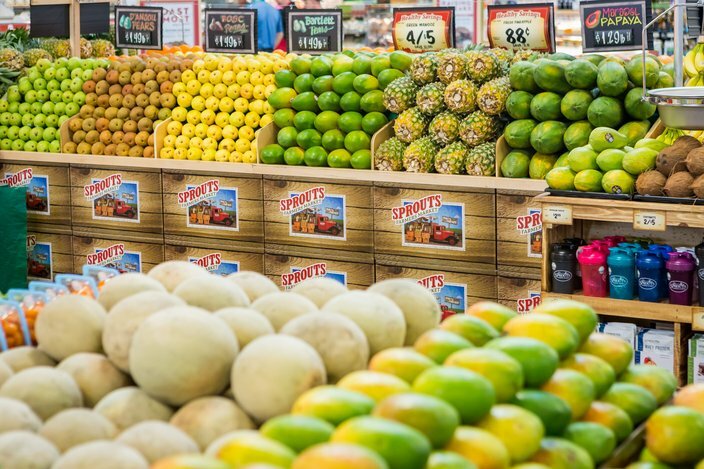 A full 23 percent of the market's business is self-distributed produce, which includes both organic and conventionally grown fruits and vegetables situated in the heart of the 32,000-square-foot shopping floor. 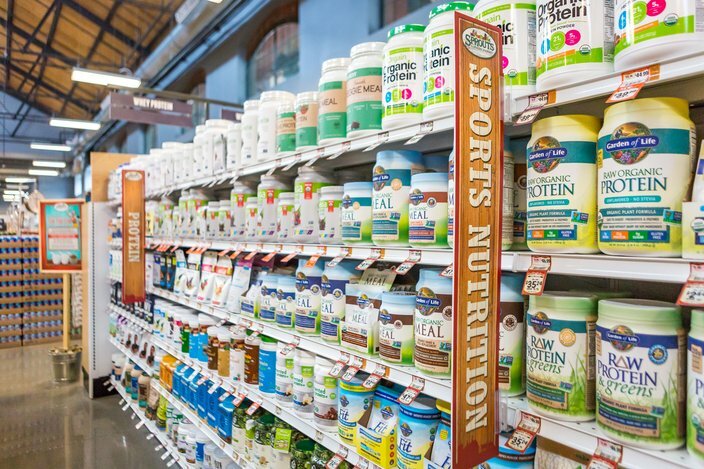 Directly behind the produce is a vitamin and body care section stocked with more than 7,500 products, many appealing to those on plant-based or keto diets. The store also features an expansive vitamins and supplements department. "Our team members are trained to walk our guests through vitamins and supplements if they've never had any before," Romero said. "There's really something for everyone in every department. That's one thing to take note of as you look at the shelves. 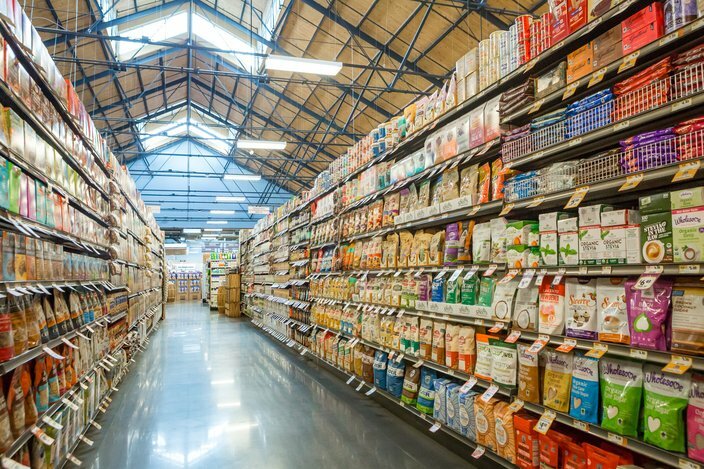 It can look like a normal grocery store until you start read the attributes and notice that everything's a little bit different—whether it's conventional, organic, plant-based, vegan, et cetera." The entire market is meticulously labeled and easy to navigate, with novelties including a honey station and plenty of other sweet treats. The bulk section is also expansive, offering several blends of trail mix and flavored variations on several nuts. A large bulk section of over 100 items including grains, nuts, and sweets are available. "It's always been our goal to make our stores approachable, so that healthy living isn't intimidating," Romero said. "That goes from pricing to the in-store experience. We don't want endless aisles where you're going to lose each other in the store. It's got to be approachable. We'll actually sample any product in the store for you and everything comes with a money-back guarantee." 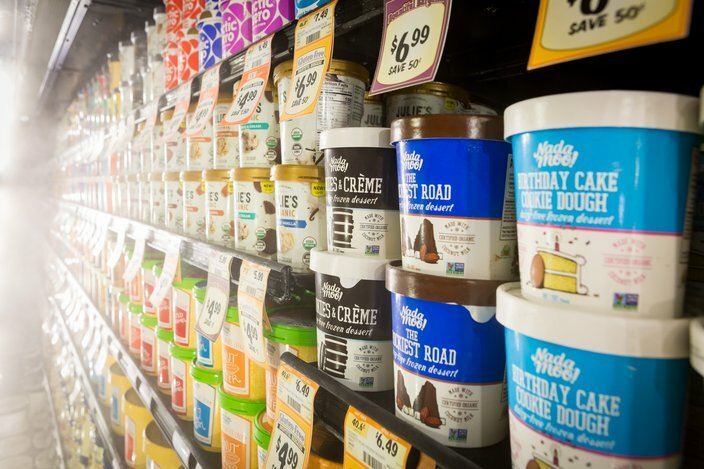 In addition to more than 2,400 Sprout's Brand goods, Sprouts will carry locally made products from Naturi Yogurt, Vesper Brothers Foods, Trickling Springs Creamery, Really Raw Honey, Everbar and Love Beets. The frozen dessert selection includes dozens of gelato, plant-based, low carb. and low sugar options. Sprouts also has an in-store butcher and stocks fresh-never-frozen poultry, pork and beef, as well as a variety of seafood options all at budget-friendly prices. For shoppers in search of a ready-made dinner, Sprouts offers "one-pan meals" that simply need to be heated up all at once. At the Market Corner Deli, shoppers can get sandwiches, salads and fresh-pressed juices starting under $5.00, or buy a "Gather & Go" meal ($11.99) consisting of one hot entree, two homestyle sides, a loaf of freshly baked French bread and a free gallon of tea. 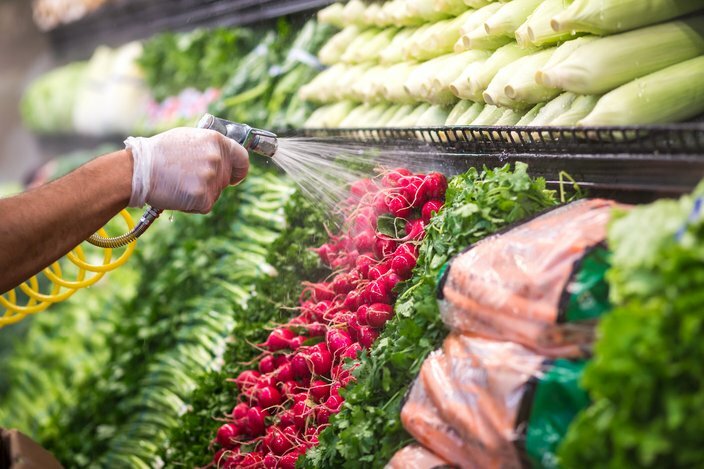 An employee washes fresh produce a day before the grand opening of Sprouts Farmers Market in Philadelphia. Sprouts Farmers Market occupies the renovated historic train shed at Broad and Carpenter streets. "When you hear about innovation and food, sometimes it's hard to connect what that means," said Romero. "Whether it's new convenience for the shopper on the go or blending flavors, we try to direct you to a fresh selection of products." Those who value sustainability and community consciousness will also appreciate that all Sprouts stores participate in a food rescue program. All unsold edible and inedible food goes to a food bank or to dairy farms for animal feed and compost. "It's always been our philosophy to reduce food waste and help feed others with that," Romero said. Sprouts Farmers Market opens its doors at 7 a.m. Wednesday, Sept. 19, and will feature some great deals and giveaways, including 20 percent off the initial total purchase for the first 200 customers. Muffin and coffee samples will be served to everyone who waits in line for the opening. Other promotions will extend into the grand opening weekend.